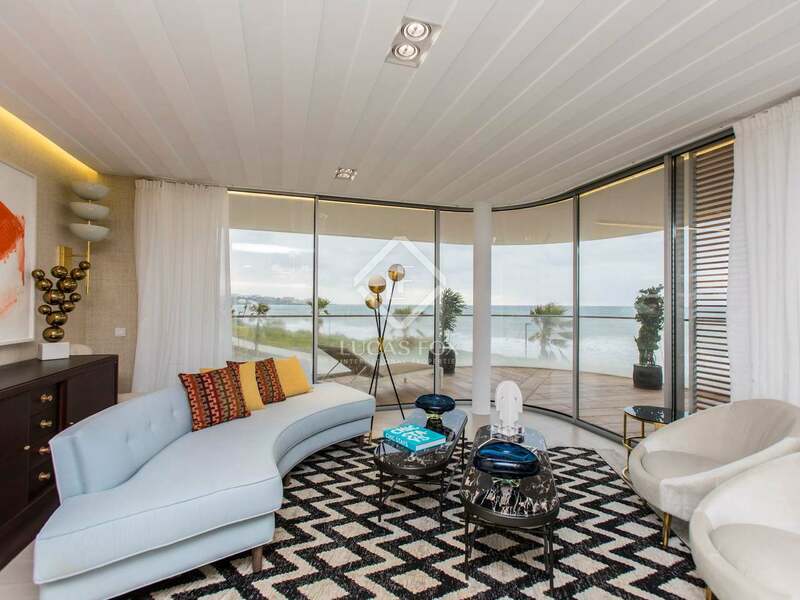 This property is part of the Estepona Beach Properties. 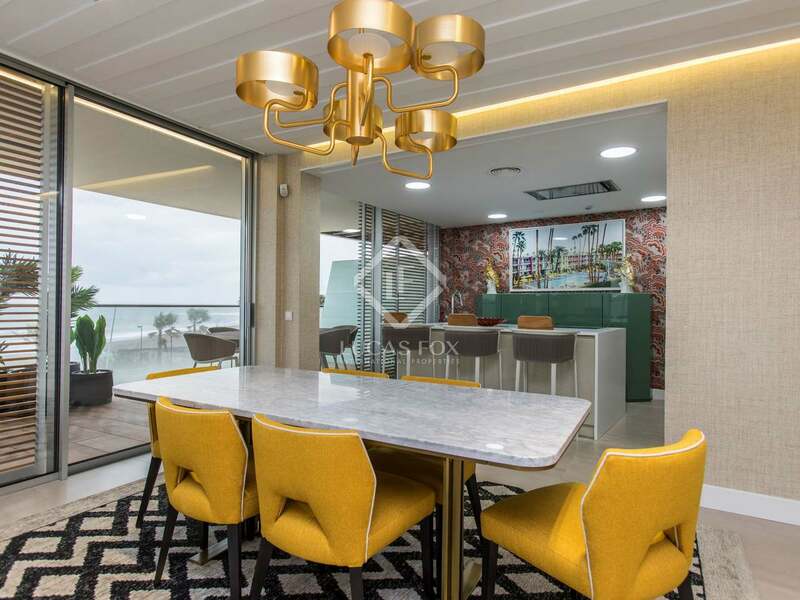 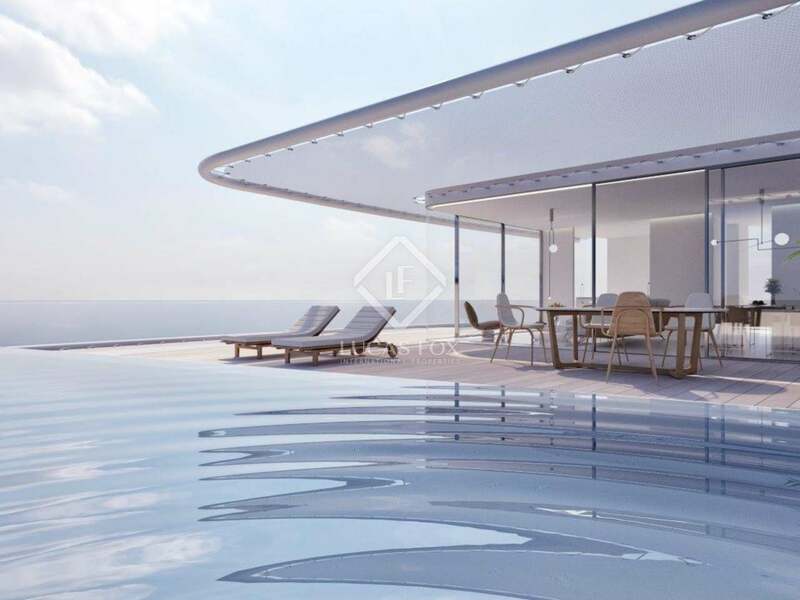 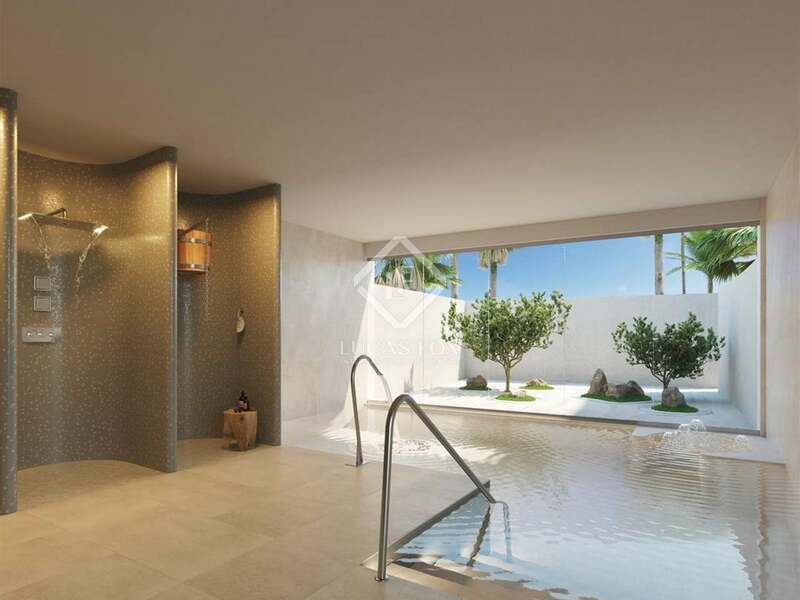 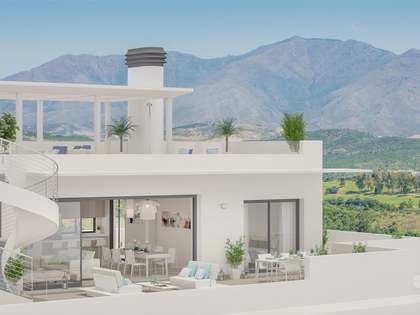 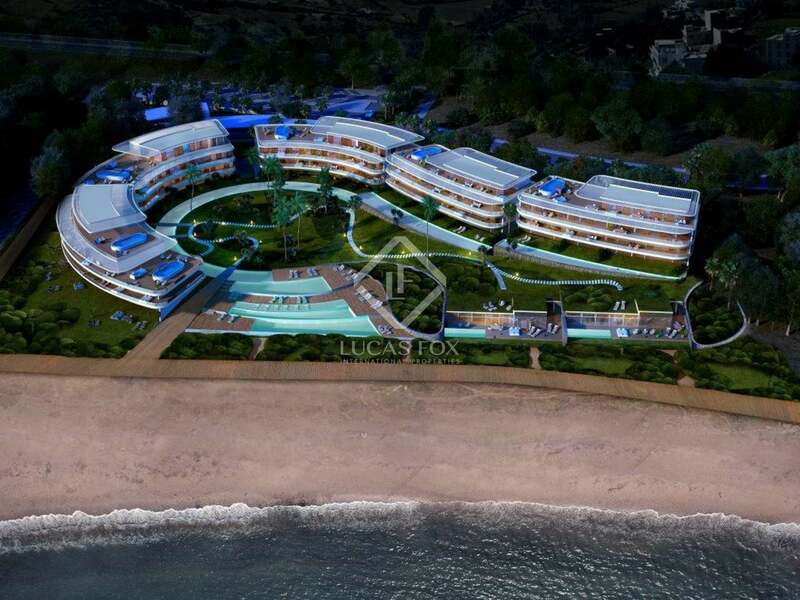 Exclusive penthouses and apartments to buy off plan in a luxurious new development in Estepona occupying almost 10,000 m² of privileged beachfront space. 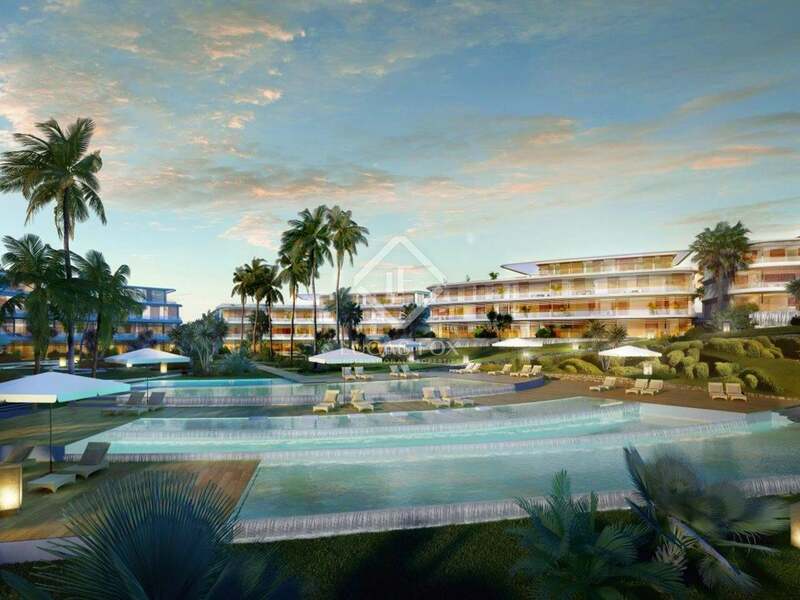 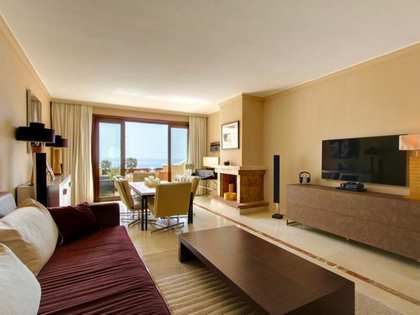 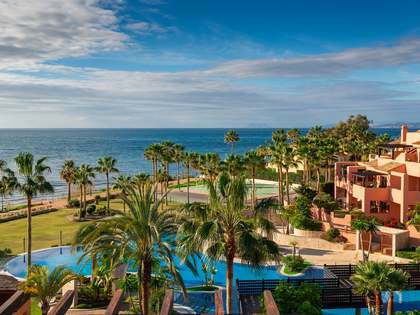 2-bedroom ground floor apartment with a garden to buy in a new beachfront complex in Estepona. 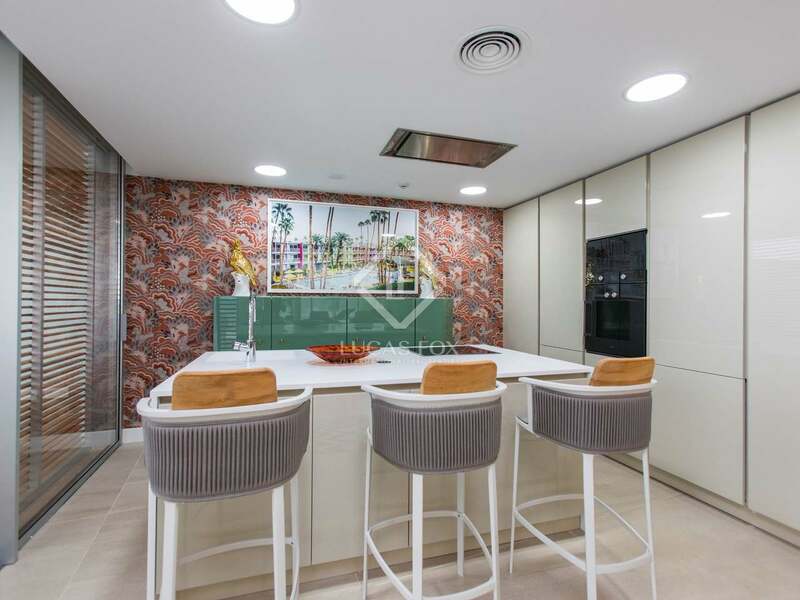 2-bedroom ground floor apartment of 71 m² with a 74 m² private garden, a storage room and garage parking space to buy off plan in a wonderful new development overlooking the beach in Estepona. 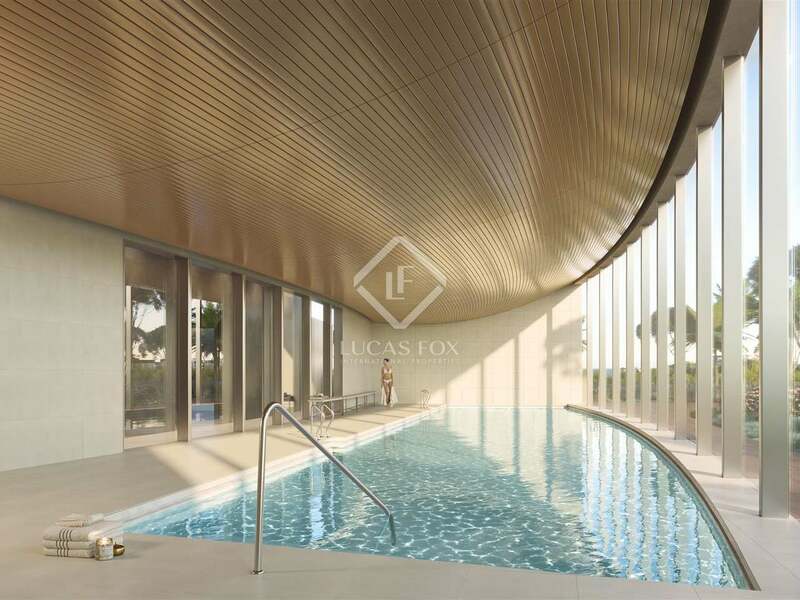 The complex boasts expansive landscaped areas with 3 interconnected infinity pools, a padel court and a spa and fitness area. 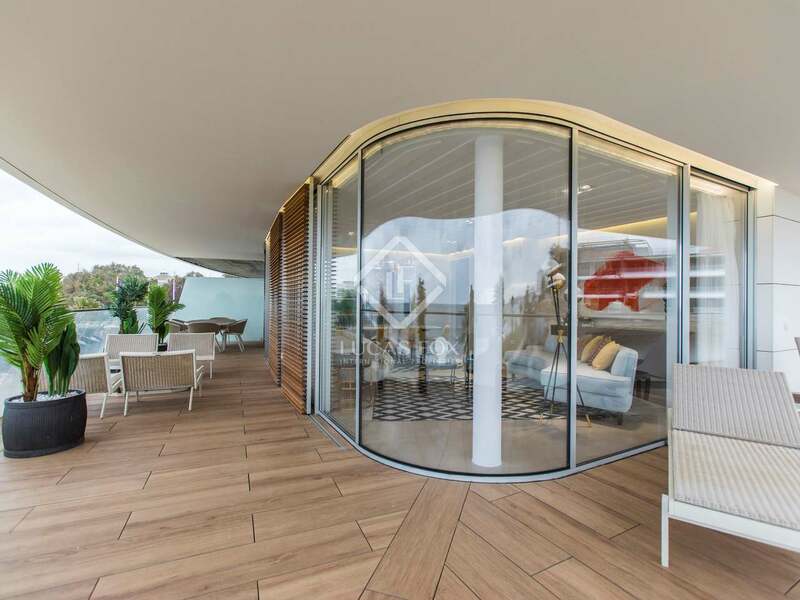 24-hour entry control offers residents peace of mind whilst enjoying direct pedestrian access to the promenade and beach. 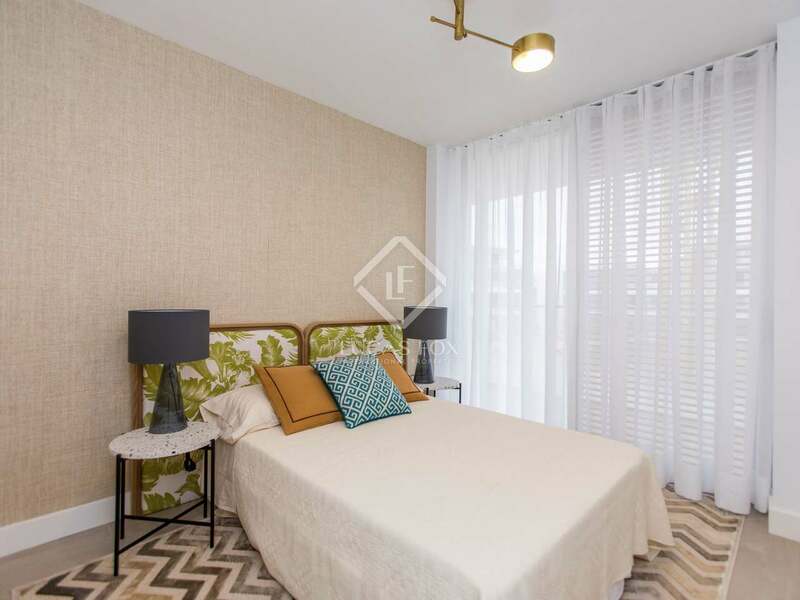 This property with 2 bedrooms, 2 bathrooms and an open plan living – dining room will feature a high spec kitchen with excellent appliances and high-end materials such as marble, Iroko natural wood and Porcelanosa features. 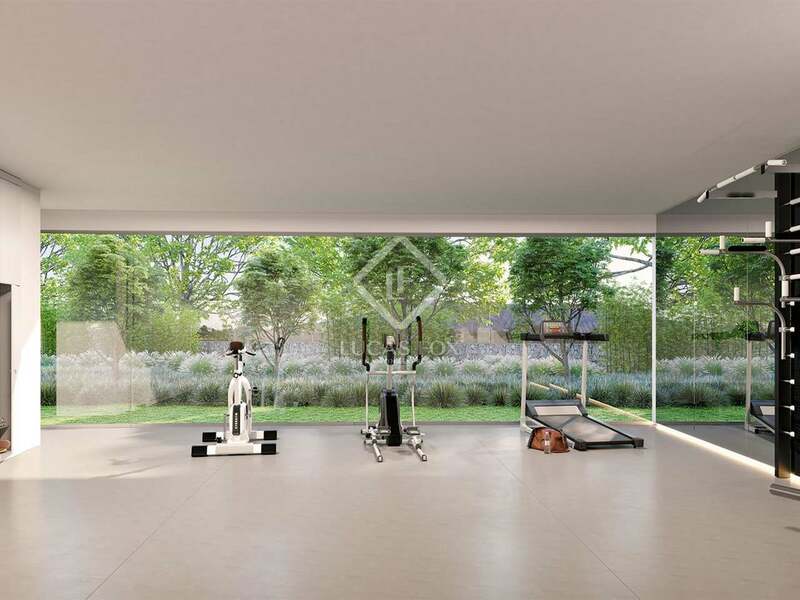 Home automation, air conditioning and individual alarm systems are additional features of this exclusive home. 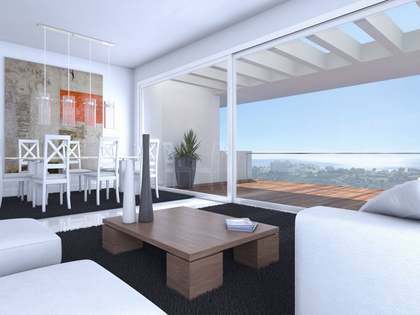 A wonderful chance to acquire a new build home in a beautiful coastal complex.